Severomorsk is located on the Kola Peninsula, 25 km north-east of Murmansk. It is a seaport on the eastern shore of ice-free Kola Bay of the Barents Sea. There is the naval base of the Northern Fleet of Russia there. 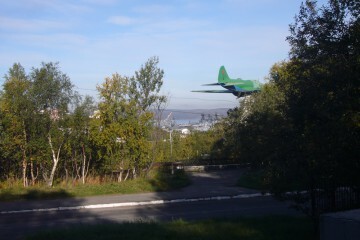 Severomorsk is the sixth largest city in the Arctic Circle. Population is slightly less 50 000 people.